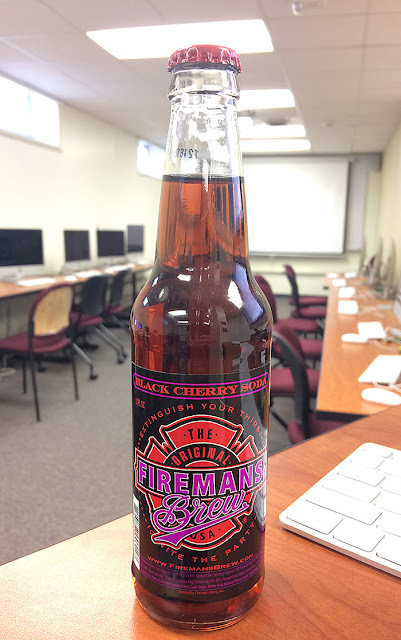 Brand: Fireman's Brew Black Cherry Soda. Purchase Place: Blue Sun Soda, Spring Lake Park, MN. Review: This was pretty smooth - almost TOO smooth. I would have called this a "black cherry CREME soda" if it were up to me. The black cherry was strong and about spot-on. Not a bad soda, just quite smooth. Score: 6.5 out of 10.